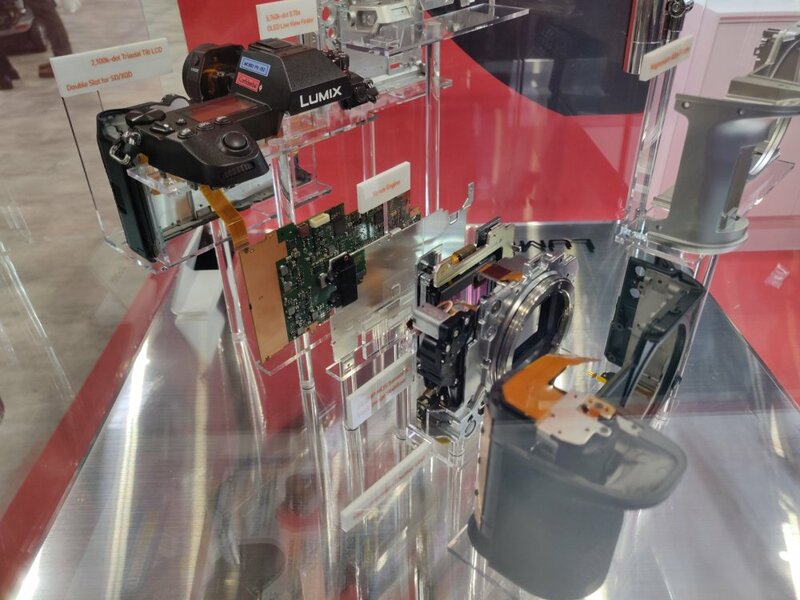 See inside the Panasonic Lumix S1, at The Photography Show, 2019. The S1 is Panasonic’s new full-frame mirrorless camera - the S1 is the 24mp version, and is part of the Leica L-Mount Alliance. We had a hands-on look at the Panasonic Lumix S1R, which you can see here. The Panasonic Lumix S1 features a magnesium alloy body, a 24.2MP full-frame sensor, 6-stop dual IS for stills/video and an electronic viewfinder with 5760K OLED display. The camera's 3.2-inch touchscreen features 2.1-million-dot resolution and is mounted on a triaxial tilt rear monitor that allows it to flip out.